If you’re not familiar with the Waterfront, it’s 3 stages of the best in live music from Nottingham and beyond, all for charidee! This year’s theme is OLD SCHOOL SCI FI so pull out the tin foil and get planning your outfits! Downstairs Jamcafé’s Bradley Rice and Stuart Hemulen brings their Genre Clash party vibes to the “bane of stage” stage for the afternoon and early evening followed by Nat Snelson “Koi Kallisto” House and Hip Hop, no flip flops! 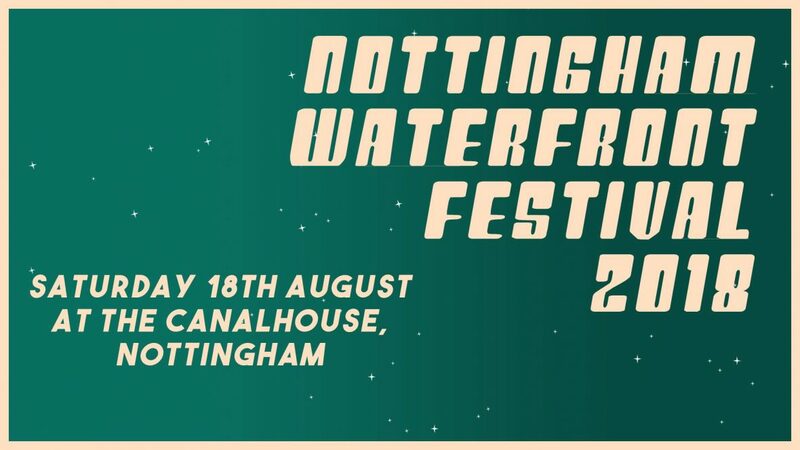 With Sounddhism / Hockley Hustle / Pickhead’s Anonymous Adam Pickering spinning digital vinyl like he spins meat, hot, thick and fast all night long for your pleasure! Plus Stiff Kittens and Louie Thompson spinning garage, psyche, Northern soul and electro til you squeal like pigs on a honeymoon! Founded in faith in 1976 by Father Roger Killeen, Emmanuel House exists to support homeless, vulnerable or isolated adults in and around Nottingham. Their history centres around supporting the most vulnerable citizens in Nottingham without prejudice or judgement; with that in mind, they strive to provide diverse and accessible services that meet basic need and empower individuals to make positive changes in their lives. £7 advance tickets available from Canalhouse Bar and from Gigantic Tickets via the link below! Tickets are £7 in advance – £10 on the day. Under 18’s are allowed in the festival until 7 pm. We expect to reach our capacity for the event very quickly so anyone definitely wanting to go would be advised to purchase their tickets now, there is no guest list or extra tickets held back so once they’re gone, they’re gone, you snooze, you lose! Please “like” our pages here and send us your email address if you would like to be on our mailing list or if you would like to volunteer to help at the festival or if you would like to have a stall or even sponsor us we’d urge you to get in touch! We are looking for individuals and companies to donate prizes for our raffle!